20131002 - Up and into work. Pretty fast paced day in many directions. Headed home about 4:30 and talked to people about work all the way home... Quick change and to the diamonds for baseball. 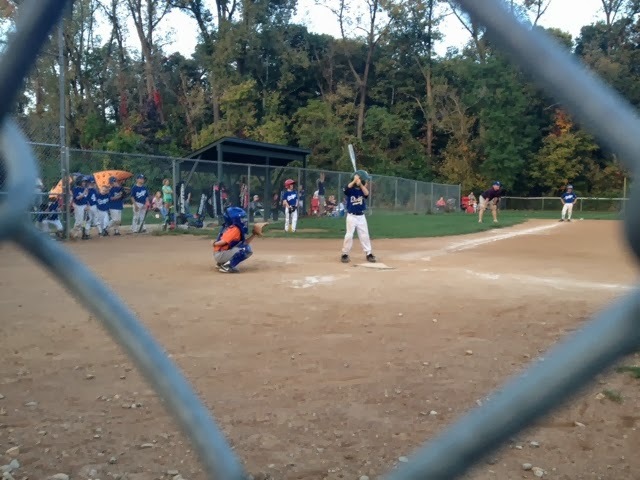 D had a great game with a single and a huge double. Gma&paW were down to watch. G's game was a bit controversial at times with some calls we didn't know how to make, but we won that one too. This means more baseball on Saturday along with painting and a campout... Home after the games and Gma&paW brought pizza for dinner. We had a nice dinner and they headed home. G down on the couch with a fever, L out to get meds. All boys to bed, me too.